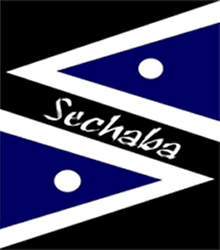 Sechaba Computer Services have engaged the services of Strata-g Labour Solutions for the last few years and during this time Strata-g has provided our business with excellent support in the areas of Industrial Relations, BBBEE, Skills and Employment Equity. The services received from Strata-g has been fantastic. Strata-g’s team of professionals have been extremely attentive to details, knowledgeable in their pursuit of the issues facing us as a company and efficient in their time management without sacrificing quality. Strata-g’s representation has resulted not only in successfully overcoming many of the challenges I was facing, but in a cost effective manner that was a refreshing change from what I have previously experienced. Strata-g’s team has given me a new-found confidence that my situation can and will be resolved in a positive fashion. Strata-g has been determined in representing our interests as a business but has done so in a fair and ethical manner that is admirable. I was extremely fortunate to have found Strata-g and will recommend Strata-g without reservation. Strata-g consistently exceeds our expectations, and I consider them a valued partner in the recruiting arena. Jacqueline and her team have cultivated a deep network of “best in class” candidates, and they’ve successfully sourced several key positions for our Group of Companies. Jacqueline further adjusted her search and brought us candidates who has proven to be an excellent fit. I found Jaqueline to be very organised and a pleasure to work with. She prepared the candidates appropriately for interviews. Most importantly, they took the time to understand our culture and growth aspirations. Their market intelligence, integrity, and professionalism are key reasons why Strata-g is our go-to partner for our key positions. At the end of 2011, Strata-g Labour Solutions were contracted by Associated Motor Holdings to provide Industrial Relations services to all Group companies nationally. AMH, a diverse Group of Companies which employed approximately 6000 employees, has since merged with Imperial Holdings’ other vehicle businesses to form Motus Corporation. To date, Strata-g’s services included the chairing of disciplinary hearings, representing the Company at relevant dispute resolution forums, facilitating retrenchment processes, litigation, reviewing of HR policies and ongoing IR advice, if and when necessary. I have found all IR consultants to be well qualified, knowledgeable, professional, reliable and efficient, often dealing with complex matters, as well as demanding clients. What makes the service unique, is their ongoing objective to develop a deep knowledge and understanding of the company and the motor retail industry as a whole, including motor-related financial services. This has aided them to provide a highly relevant, as well as seamless, integrated service in conjunction with in-house HR practitioners. To date, the IR services have met our requirements in full and their contract has now been extended several times. I have no hesitation in recommending Strata-g Labour Solutions to clients with similar needs and requirements. We confirm that Impact Cleaning Services CC have dealt with Strata-g Labour Solutions for the last few years, during which time they have provided our business with excellent support in the areas of Labour Relations, Industrial Relations and numerous matters involving our labour department.Their work and involvement with Impact Cleaning Services CC has been a major factor in supporting us with legal advice, assisting us in any labour matter that falls outside of our own Companies competence.We can confidently recommend Strata-g Labour Solutions as a solid and reliable specialist, and experts in their field. The management of Yikusasa Building Contractors would like to take this opportunity to compliment Strata-g on the professional service that they have rendered to us over the past 10 years. I have been dealing with Strata-g for 3 years and in all the experiences I have had with them, they have been an irreplaceable asset to our company. The quality of work that has been delivered to me on every occasion has proven to be of the highest grade and has always made the fairest and just decisions in every case that they have worked for our company. My company trusts the outcome of the cases that Strata-g has delivered and has proved to be a valuable asset to us, which is why I have them on speed-dial as my first call. The response turnaround time is astonishing as I know that my calls will always be answered in a timeous fashion and my e-mails are replied to swiftly. The team at Strata-g are always accommodating and always structure the appointments according to my convenience regardless of how many times that I need to reschedule. My business is always handled in a professional manner and the greatest care and confidentiality is taken and there is nothing left to chance that could affect or impact our business negatively. Every opportunity that I have had over the years to do business with the professional team at Strata-g has been an occasion that has helped us as a business gain confidence and allowed us the ability to maintain and operate our business efficiently and has reduced our uncertainties by leaps and bounds. All I have to do to get the best service that is available out there today, is to pick up the phone and from the first point of contact I am already assured that my business is in safe hands, right up until the highest levels of management that inspire confidence at every turn. The willingness to help and the inability to turn down a customer at any time of the day has been the highlight of their entire operation to me. Conduct negotiations with employees and unions. Legislation changes. This ensures that we meet all the requirements of all relevant ActS. Advice offered on compiling charge sheets. Officials act as chairman in cases of hearings, grievances, are experts in labour relations and consequently ensure that disciplinary and appeal hearings are conducted in accordance with the requirements of the LRA. Employer representation at the Dispute Resolution centre of the Motor Industry. Assist with correct processes to follow regarding retrenchment and consult with relevant parties. Strata-g provides an excellent training course that is registered as a skills program – 114224 + 114278. Strata-g also sauce suitable qualified candidates in the market and do perfect placing. The give a guarantee on the placements and since they started this service we had no poor placements the Strata –g source and placed in our business. The Strata-g team of experts, are always willing to assist and always available. Since inception of the services in 2010, the referrals of industrial relation disputes to the Dispute Resolution Centre of the Motor Industries have significantly reduced. The services are cost effective; the return of investment is mentionable to Lindsay Saker. Cecil Nurse would like to take this oppurtunity to thank you and your team for alll your support and guidance in assisting us in several areas, but to name a few, IR; Recruitment; Skills Development; Equity and most of all with your qualified and professional involvement made it possible for cecil Nurse to achieve and obtain a BEEE level 2 certificate. 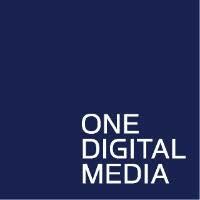 Watch Chrissy Venter from One Digital Media’s testimonial.